Now for 2019, Barbara Dickson announces an extensive UK-tour, arriving at St George’s Hall, Bradford on Friday 15 February. She will be performing the classic material from her extraordinary canon of music across both pop and folk with her band. 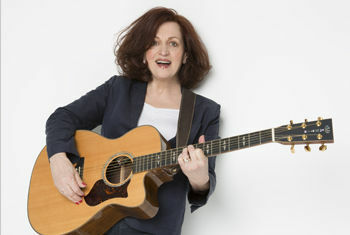 Emerging from the Scottish Folk Revival of the 1960s, Barbara Dickson became the biggest selling Scottish female album artist of all time, earning 6 platinum, 11 gold and 7 silver albums. Known to a wider audience in the 1970s and 1980s with hits including Answer Me, Another Suitcase in Another Hall, The Caravan Song and I Know Him So Well, she enjoyed ten years of chart success as a pop star. So much was her contribution that she was awarded an OBE from Her Majesty The Queen in 2002 for Services to Music and Drama. As an actress, she has appeared in the award winning theatre productions, John, Paul, George, Ringo and Bert, Blood Brothers and Spend, Spend, Spend. She was the original Mrs Johnstone in Blood Brothers and Willy Russell’s muse.